Lal Bahadur Shastri is not an unfamiliar name. When you open your history books, you will find India’s history to be rich and your teacher would tell you to read up all about the famous freedom fighters and politicians of the early period. 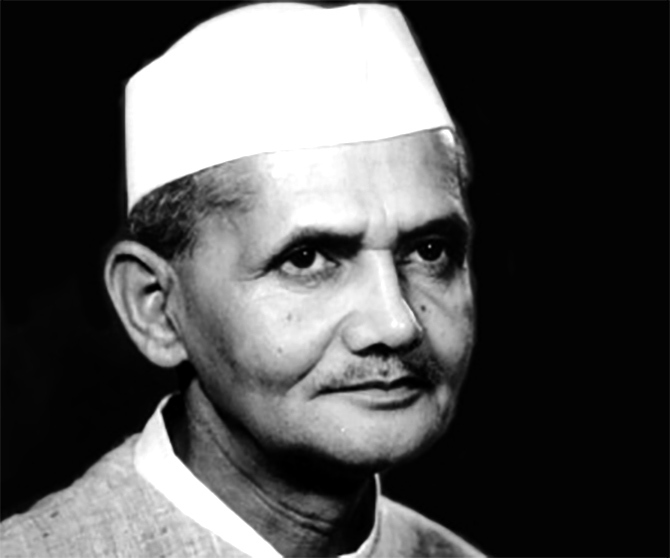 Lal Bahadur Shastri was the 2nd Prime Minister of India. He was also a member of the Indian National Congress Party. When you open your history books, you would find his name along with prominent names like Mahatma Gandhi and Jawaharlal Nehru. As a citizen of the nation, it is important for us to know about the man of peace. Yes, he got the nickname of, ‘man of peace’. Why was he given the nickname? What were his political achievements? Where was he born? You shall find all that and more in this article. Lal Bahadur Shastri was born in Mughalsarai at the home of his maternal grandparents. His father started as a school teacher and then later, he became a clerk at the revenue office in Allahabad. His mother was the daughter of an English teacher and headmaster of a Railway School. When Lal Bahadur was only a year old, his father died. He had recently been promoted as tehsildar. His mother was pregnant with the third child. After his father’s death, she took both the kids and moved back to Mughalsarai to his maternal grandfather’s place. His grandfather died in the year 1908. When Hazari Lal (Lal Bahadur’s grandfather) died, the family was looked after by his brother. Lal Bahadur Shastri lived in a joint family and one can see the importance of kinship in this case. It is because the relatives were present; Shastri’s mother could not have done it alone after the series of deaths in the family. He belonged to a Kayastha family where learning Urdu was important. He started his education under the guidance of a maulvi. Bindeshwari Prasad became the head of the household and the entire family had to move to Varanasi. Shastri joined Harish Chandra High School from seventh grade. Shastri was in high school when he met the influential Nishkameshwar Prasad Mishra. He offered financial help to Shastri by allowing him to teach his children. Mishra was a patriotic man and seeing his devotion and patriotism, Shastri became interested in the freedom struggle. He started reading history and works of Mahatma Gandhi, Annie Besant and Swami Vivekananda. It was in the year 1921; Shastri left his school after he heard Mahatma Gandhi’s speech at a public meeting in Banaras. He joined the Congress Party after that as a volunteer. He participated in many anti-government demonstrations and was jailed as well. Since he was still a minor, he was let off. Since the young volunteers had left school to be a part of the movement, J.B. Kripalani and V.N. Sharma started an informal school for the young students. Shastri received a first class degree from this school in the year 1925. He was also given the title, ‘Shastri’ which means, ‘scholar’. He was the Transport Minister, who brought about a change and appointed women conductors. He was the one, who ordered the police department to use water jets instead of lathis to control the crowds. He did the job of Police Minister really well. 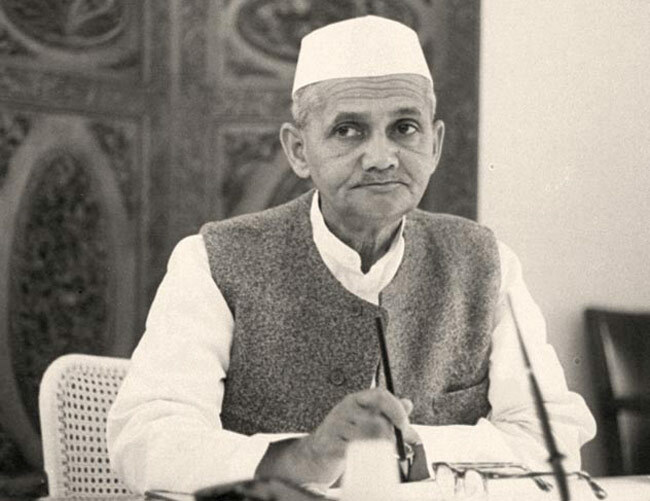 When Jawaharlal Nehru died in the year 1964, Lal Bahadur Shastri was made the Prime Minister of India. Shastri married Lalita Devi in the year 1928. It was an arranged marriage and they had a harmonious married life. They were blessed with two daughters and four sons. He had an infectious smile and he was a good father and husband. He was the man of peace. He always took the path of peace instead of aggression. He was against untouchability. It was a problem in India long time back. Mahatma Gandhi termed the untouchables as harijans. Since Shastri was the follower of Gandhi’s principles, he believed untouchability to be toxic for the Indian society. It is true that we feel that soldiers should protect our nation. What are we going to do about protecting our nation? It is not just the soldiers’ duty? We have to build a powerful nation and protect it. The man of peace was not just a believer and follower of Gandhi, he practiced what he preached. He did not believe in violence or aggressiveness. He believed that India and Pakistan would make peace with each other. He was a humble man and he would sometimes appear in a dhoti. Jawaharlal Nehru once called him, ‘half civilized’ because he would come in a dhoti. His idea of using water jets instead of lathi charge shows that he believed in peace and not aggression. His name has gone down in the history of India and he shall remain in our hearts forever.